Charles has played a leading role in facilitating significant public-private partnerships (P3) across the United States. He conducts an annual survey and analysis on P3 projects nationwide and continuously evaluates trends and best practices for the unique financing tool. Charles applies his findings when advising clients and communities on projects that serve the lasting interests of businesses, government and people. 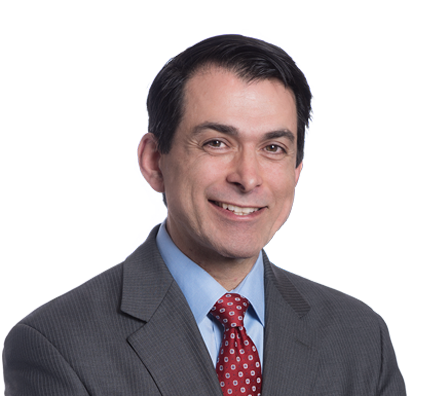 Charles, chair of the firm’s Public-Private Partnership team, also has broad experience working with complex development incentives such as community improvement districts and tax increment financing. His approach is collaborative, seeking true long-term partnerships with mutually beneficial outcomes for all public and private stakeholders. Charles is a firm believer in competition among cities to build for the future with the goal of improving metropolitan communities for years to come. He is motivated by the satisfaction of seeing tangible results from working on a built environment project from the ground up. San Antonio, Texas, was exploring options to diversify its water supply for its growing region. A long-term contract between a private party and a governmental entity was the solution. Husch Blackwell’s P3 team was tapped to represent Garney Construction in the consortium. As Garney’s role as construction partner expanded, Charles led the company in assuming leadership of the design, construction and financing of the project. The $3.4 billion, 30-year pipeline project allows the city of San Antonio to sustain burgeoning population growth and sets an example for other P3 water projects in the United States. Crafted public-private partnership (P3) structure on behalf of master developer of 55-acre expansion project at University of Kansas, including academic integrated science facility, student union, student housing in three buildings, dining center and parking spaces. Represented Garney Construction, owner of $3.4 billion San Antonio Water System Vista Ridge water supply project. The 142-mile Vista Ridge pipeline is the first-of-its-kind, large-scale P3 in U.S. water industry. Represented Texas Infrastructure Council in drafting legislation to create P3 Center of Excellence, which provides best practice processes related to procurement of infrastructure through P3s and the development of strategic pipeline of infrastructure projects. Crafted P3 structure on behalf of Kauffman Center for the Performing Arts for multiuse parking facility that allowed for development of $400 million nationally recognized performing arts center. On behalf of developer, led formation of P3 focused on redeveloping more than 25 acres of dilapidated medical campus in heart of southern Kansas City residential community. Partnership included large hospital operator, two private development groups and the city. Represented developer of first-of-its-kind $62 million Passive House-certified residential development in securing Chapter 353 property tax abatement from the City of Kansas City, Missouri, and tax-exempt bond financings from U.S. Department of Housing and Urban Development. Represented developer of Gallery Green, an $80 million mixed-use project, in securing 25-year, 60 percent property tax abatement. The Shared Success Fund, an economic development policy that generates more benefits throughout the broader Kansas City community, was crafted to overcome citizen opposition to project. Represented Highwoods Properties in a $240 million Country Club Plaza development initiative in Kansas City, including tax increment financing application. Represented clients in formation of numerous special taxing districts, including first sales tax community improvement district in Missouri and one of first such districts in Kansas. Advised multifamily residential developer in undertaking and obtaining public financing for $57 million redevelopment project in Kansas City, Missouri. Represented developer of multiphase retail development, including public revenue bonds and tax increment financing. Assisted client Milhaus in obtaining a tax abatement and tax exemptions for a mixed-use development project. Urban Milwaukee: Can Public-Private Deals Help County? Kansas City Star: Will KC get a law to rein in development incentives? Charles loves spending his free time with his family. He has three children who are active in sports, and Charles and his wife enjoy cheering them on in their extracurricular activities. Charles is extremely interested in American history, specifically the early Civil War period. He and his family enjoy traveling the United States and exploring historical sites. He is also an avid runner who has run a few marathons.